A video of the proceedings (with Lincoln impersonator) after the jump! Last weekend in Southampton, 1980s opera mecha diva Jessye-With-a-Y Norman made an appearance at an intimate outdoor benefit concert. American stage director Robert Wilson hosted the inaugural event at his Watermill Center, a conference hub founded in 1992 for studies in the arts and humanities. The first annual Watermill Benefit Concert (being called "The Last Song of Summer") was held to raise money for the center's artist residencies and educational programs. The crowds paid $125 to $500 to hear the fabulous Miss Norman (as well as the Wainwright clan, including la Rufus), while Jessye belted her renditions of Gershwin's "Summertime", Ellington's "Don't Get Around Much Anymore" & "In My Solitude". La Norman was rocking some yummy challah on the top of her head, peeking out of a golden schmatte. She's teasing us, but no one would dare tell her because she'd be all like, "Not to be rude, I'm just hating on your rules". Gheorghiu wishes she could be that fierce. Images below were taken from here, here and here. Still busted and lusted! 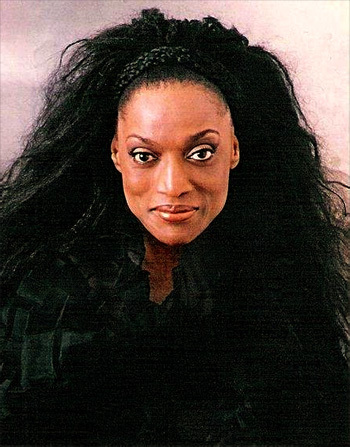 The University of Michigan-Dearborn's African American Studies department recently sponsored the showing of the documentary on the great Jessye Norman. Norman is an alumni of UMich, where she had procured a Masters in Music. Although Norman wasn’t in attendance, her brother was there for a Q&A afterwards. The documentary confessed Norman’s pedestrian pleasures, where she stated: "I love walks on the beach. I love to hear children in the garden playing. I love oceans, mountains, racing horses and Mr. Bean movies." We also love all of the above minus one aberration. Guess which one. No it's not horses. Norman was recently in Michigan this past Sunday -- a force to be reckoned with @ 62 years old -- at the Detroit Opera House this past October 21, 2007 for an early evening recital. Ok, that's enough of you Miss Norman. You know I can't think about you without thinking of those damn fine Thin Mints and Tagalongs. I mean, was there even any other kind??!! //o hay & while we're on the subject of great sopranos, today is Miss Cheryl Studer's b'day. YOURE WELCOME! 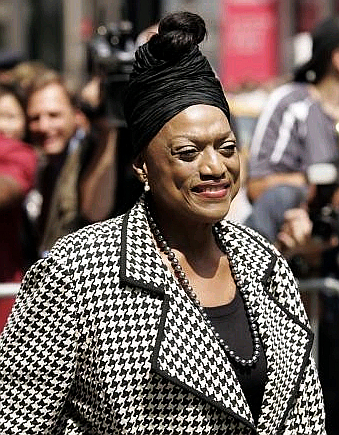 La signora Jessye Norman -- in serious need of costume help -- at the funeral service for New York socialite/philanthropist Brooke Astor at St. Thomas Church in New York the other day. Obvious advice: not even a woman as naturally stylish as la signora Jessye can seriously rawk the houndstooth thing.